If you have not yet done installed driver for your USB300M, please start your computer. 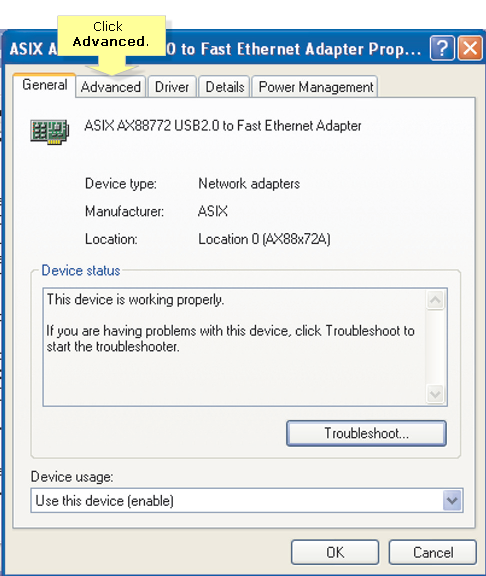 Connect the Adapter to your computer. 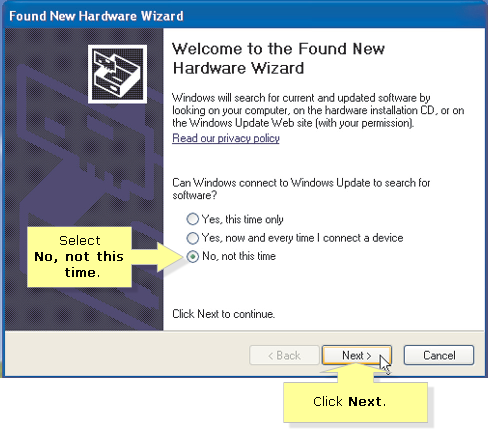 The operating system will automatically detect the Adapter and display the Welcome to the Found New Hardware Wizard screen. Select No, not this time when asked to connect to Windows Update. Then click Next. 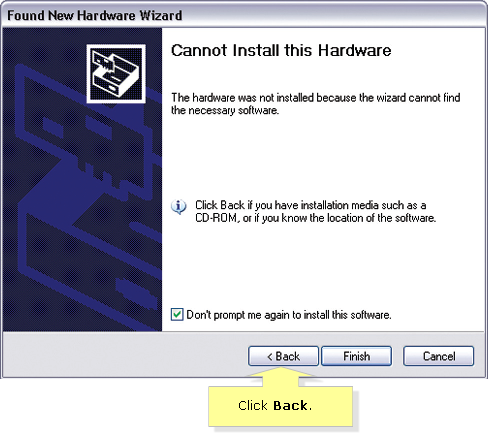 Insert the Installation CD into your computer's CD-ROM drive and select Install the software automatically (Recommended). Then click Next. If the Cannot Install this Hardware screen appears, perform steps 5a through 5c below. Otherwise, continue directly to step 6.
a. Click Back to return to the previous screen (refer to step 4). b. 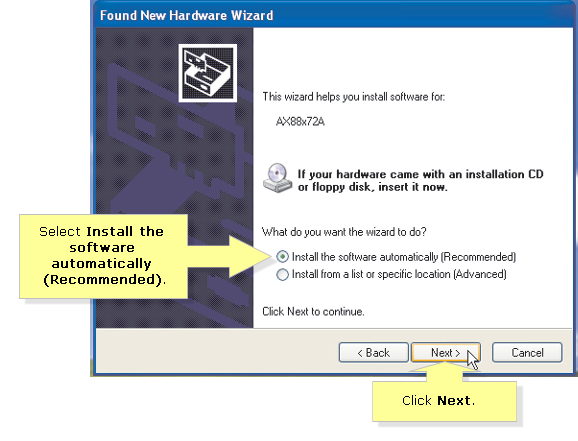 Select Install from a list or specific location (Advanced), and then click Next. 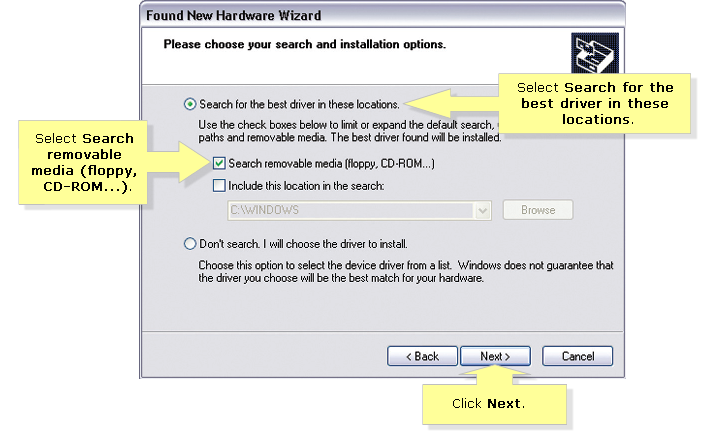 c. Select Search for the best driver in these locations and Search removable media (floppy, CD-ROM...), and then click Next. 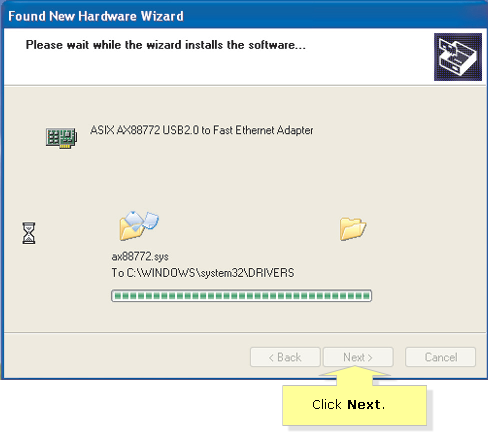 The Wizard installs the driver software onto your computer. When the installation is completed, click Next. 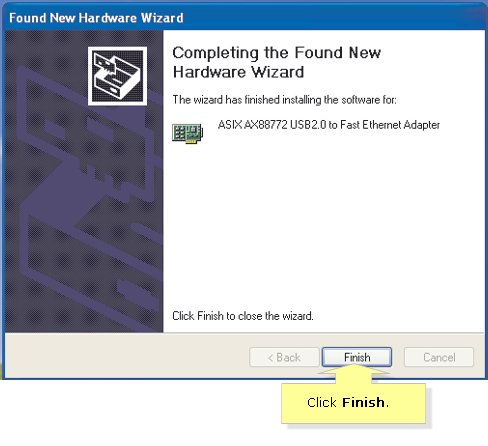 The Completing the Found New Hardware Wizard screen appears. Click Finish to exit the Wizard. Then remove the Installation CD from the CD-ROM drive. 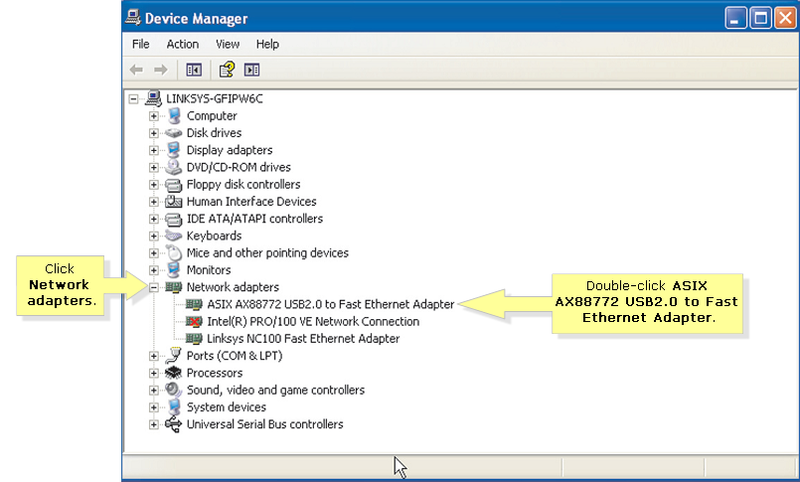 Click Start, click Control Panel, and then click System to open the Device Manager. 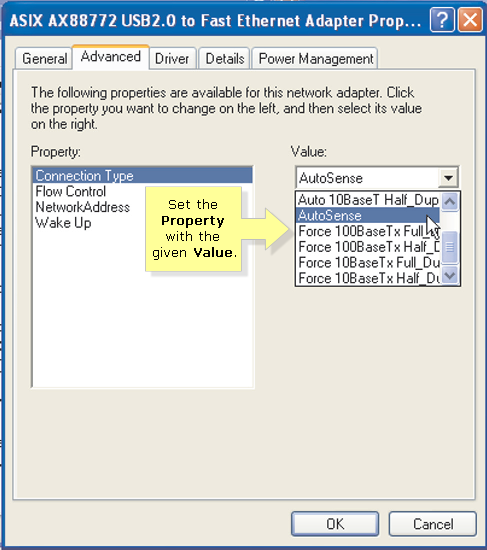 Click the Property and Value drop-down menus to set the properties as follows. i. Connection Type - Set this to AutoSense. ii. Flow Control - Set this to Enable. iii. Wake Up - Set this to Disable. Click the Power Management tab. 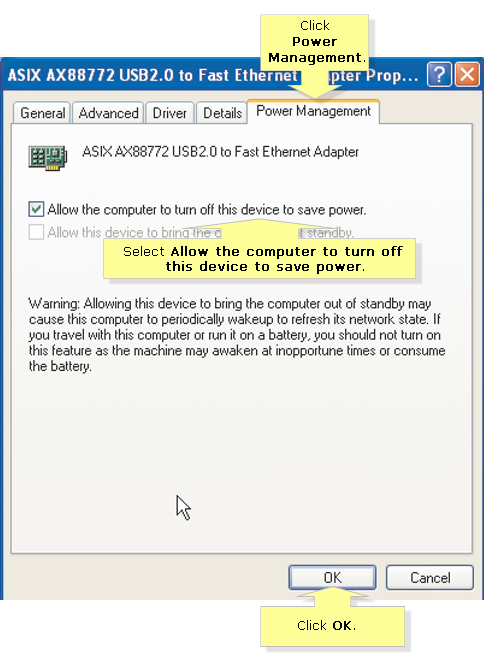 Select Allow the computer to turn off this device to save power. Click OK to save the property settings. And your installation is now complete.